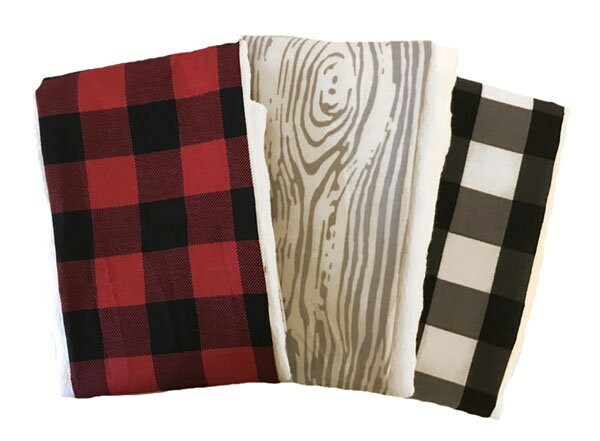 You will love this sweet set of 3 burp cloths in a rustic Lumberjack theme. 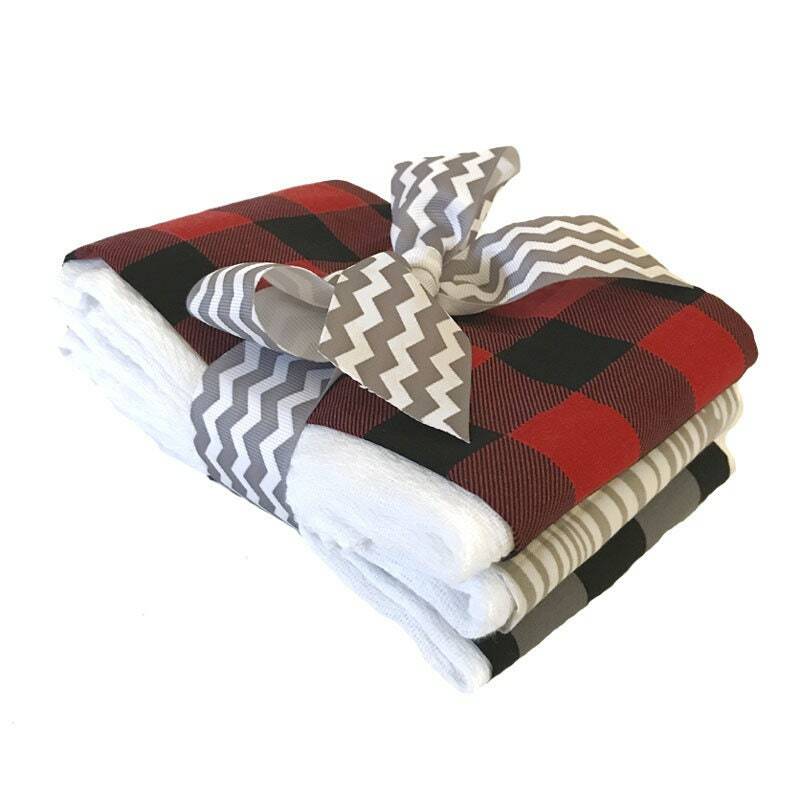 Features red/black and black/white buffalo plaid patterns plus a modern woodgrain fabric. What better way to clean their little messes in style! This burp cloth set makes a great baby shower gift.